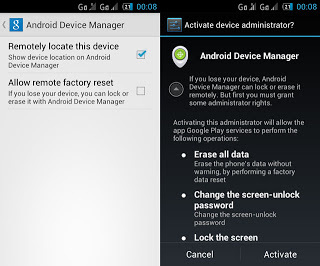 Google recently launched the Android Device Manager which tracks a lost or stolen Android phone and perform a factory reset. It’s a good move from Google but ADM has its shortcomings too. Android Device Manager Interface showing my Cherry Mobile Flare or S100. You can use your phone to access your Android Device Manager but it’s better if you try using another phone or from a PC. Next, open the Google Settings on your Android phone – it’s the green icon with a small letter g and two gears. 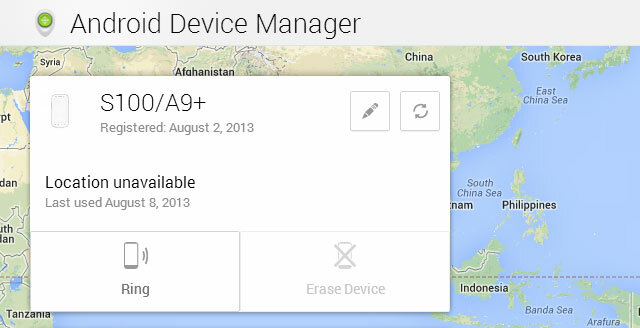 Make sure that when you tap Android Device Manager, all the settings are checked. 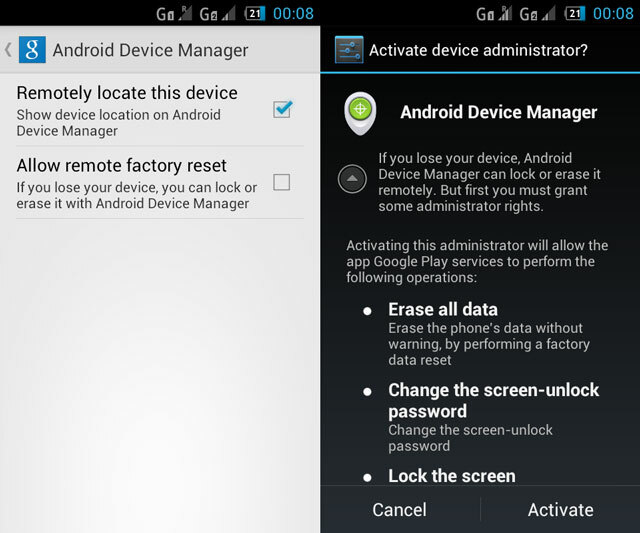 You’ll have to allow ADM to remotely locate your device and perform a factory reset. Finally, go back to the Android Device Manager home page and try to locate your device by clicking on the refresh button found on the right side of the name of your device. If you really want to try the factory reset, make sure you have nothing to lose with your current Android phone. 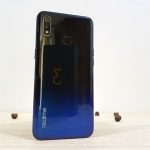 This function will erase all the files, apps and personal settings in your phone. You can also use the Ring function to make your Android phone ring in its highest volume even if it is in Silent mode. This is especially useful if you misplace your phone in your own home – something that actually happens a lot. Make sure that you’ve already done the first condition because that’s the easiest. The second one is a given if you have a data plan. 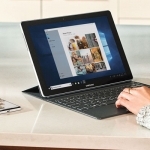 But if you are like me who rely on prepaid load, your internet connection will be at the mercy of a free WiFi zone. However, a wise thief will turn your phone’s WiFi off. Your GPS will most likely be turned off too if you are frantically saving your phone’s battery. Without GPS, Android Device Manager can only approximate your phone’s location based on network signal.